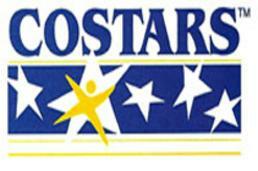 COSTARS is the Commonwealth of Pennsylvania's cooperative purchasing program administered by the Department of General Services (DGS) Bureau of Procurement (BOP). The COSTARS program provides registered local public procurement units as well as state affiliated entities within the Commonwealth and suppliers a tool to find and do business with each other effectively through the use of a contract established by DGS. This approach to cooperative purchasing leverages the purchasing power of thousands of local entities, combined with the state, to obtain more competitive pricing and choice than the individual purchasers might be able to obtain on their own, while eliminating the time and expense costs of public bidding proceedures, and at the same time, providing increased opportunities for thousands of businesses of all sizes in all locations, to compete for business. - Any tax exempt, nonprofit education or public health insitution or organization. - Any nonprofit fire company, nonprofit rescue company, nonprofit ambulance company. - And to the extent provided by law, any other entity, including a council of government or an area of government that expends public funds for the procurement of supplies and services.